Connection testing with Meteor’s speed test and download test is super fun and easy! 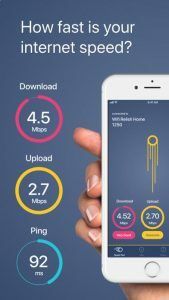 Does your wifi or internet connection quality support the upload speed you need to really maximize your favorite app’s performance? Just do a quick signal, network speed or download test and check streaming video speed and upload speed to find out!